There is literally no better way to start the working week than by delving into yet another round of high-quality and highly affordable technology deals. You could be looking to bolster your own technological arsenal or to just make an affordable purchase for someone else. Either way, these deals will give you something to focus your attention on. Starting off, we have the beautiful smart lock from August complete with Alexa support, coming in with a rare $90 discount. 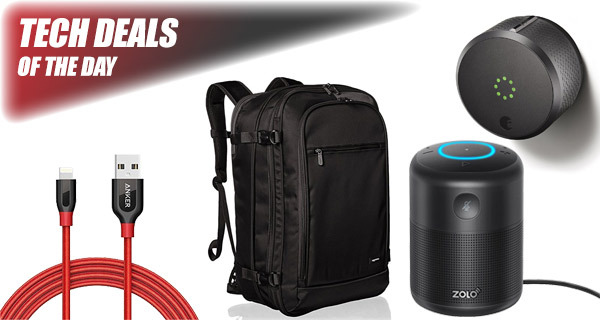 There’s also the AmazonBasics backpack with a $15 discount, as well as a 6ft Lightning cable from Anker, and it’s much durable than Apple’s own offering and comes with a pouch as well. Last but not the least is a fancy smart speaker packing Alexa support for your home automation needs for only $40! As always, make sure you act quickly to grab the product of your choice from the list here as these deals are usually time sensitive and subject to stock levels. Enjoy the savings! It can be such a chore to have to get your keys out of your pocket and actually take the time to physically gain entry to your property. That’s where wonderfully intelligent locks like this August offering come into play. 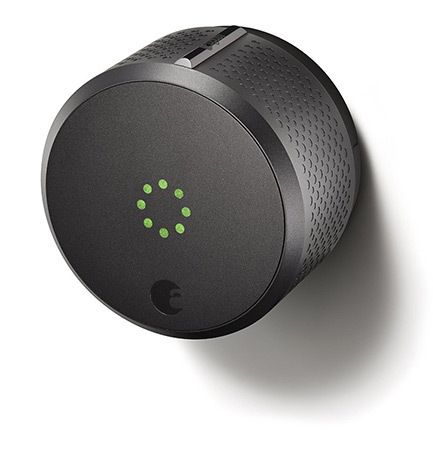 You simply turn your Bluetooth-enabled smartphone into an intelligent key, giving you access to the property whenever you need it. Add as many people as you want and keep track of who enters and leaves. There’s even Alexa and Siri (Apple HomeKit) support built-in. 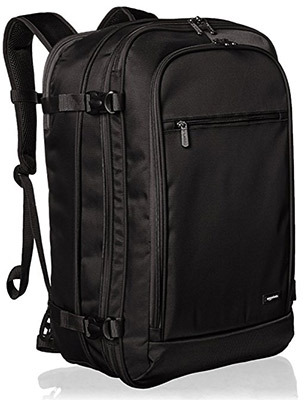 This AmazonBasics backpack pretty much contains everything that you need from a product of this nature without coming equipped with a silly price-tag. It’s ultra-flexible and lightweight. It offers multiple pockets and storage compartments for your main items and accessories, and it’s definitely going to give you the reliability that you want. Anyone with any experience of using iPhone or iPad will be able to attest to the fact that Apple’s own Lightning branded cables aren’t exactly the best quality. In fact, they typically come to the end of their life before the iPhone does. That’s where these third-party PowerLine+ offerings come into play. An amazing build quality offers longevity and you even get a little additional length along with a pouch thrown in for good measure. 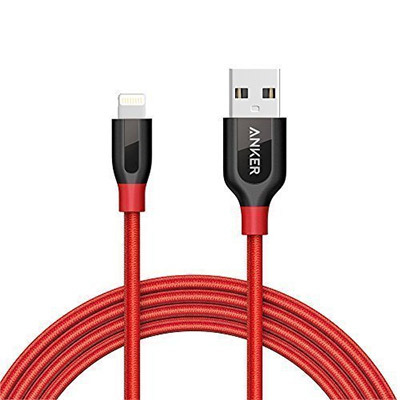 Best of all, you can use the following promo code at checkout and grab the cable for just $10.19: 822ANKER. 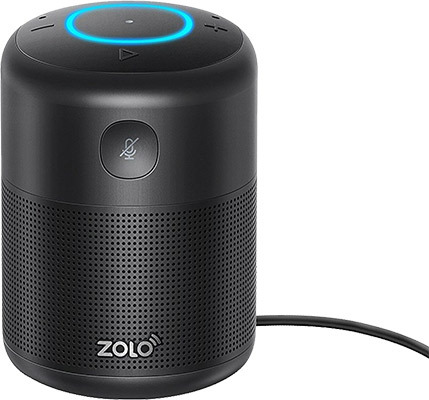 If you are looking for an affordable Bluetooth speaker with built-in Alexa support and enhanced audio quality for under $50, then this is going to be the product for you. This hardware comes with a professionally tuned 5W high-excursion speaker and bass port to give great sound quality that you wouldn’t normally get at this price point. It’s not the best looking piece of kit in the world but it’s definitely going to perform beyond what you actually have to pay. that’s because you think of this as a “house key” – using homekit/Siri, I remotely opened the door for my aunt who came from out of town 2 hours earlier, turned on the heater and turn on the lights for her room.